Pope Francis: A Man of His Word is a 2018 documentary film by Wim Wenders, focusing on the life and goals of Pope Francis. The French singer-songwriter Laurent Petitgand composed the score to the movie. The score includes spoken words by among others Patti Smith, Wim Wenders & Pope Francis himself. Their collective effort benefits viewer and listeners in capturing the true spiritual resonance Pope Francis conveys in our world. The music shows him the way as he tries to spread his words of peace in modern times. From his deep concern for the poor and wealth inequality, to his involvement in environmental issues and social justice, Pope Francis engages the audience face-to-face and calls for peace. 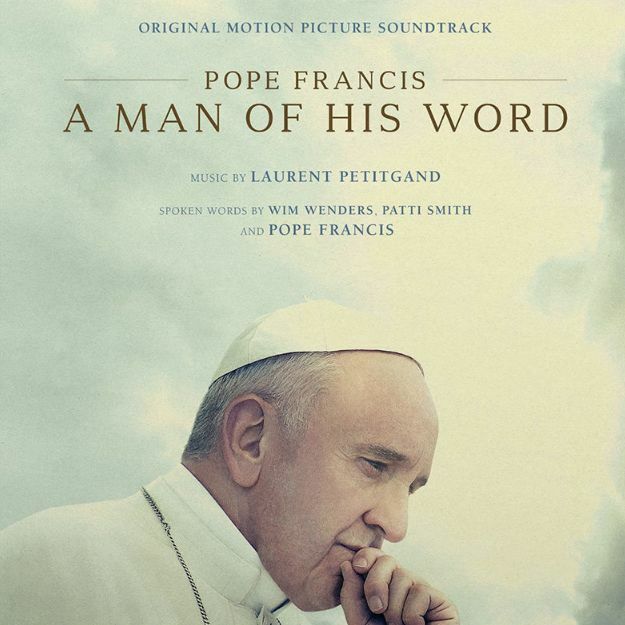 The new song by Patti Smith in which she had found the perfect way to sum her story about the Pope up in words was an incredible gift to the film. Pope Francis: A Man of His Word is available as a limited edition of 1.000 numbered copies on white & transparent (white smoke) vinyl. The package contains an insert plus an exclusive poster and postcard of Pope Francis.